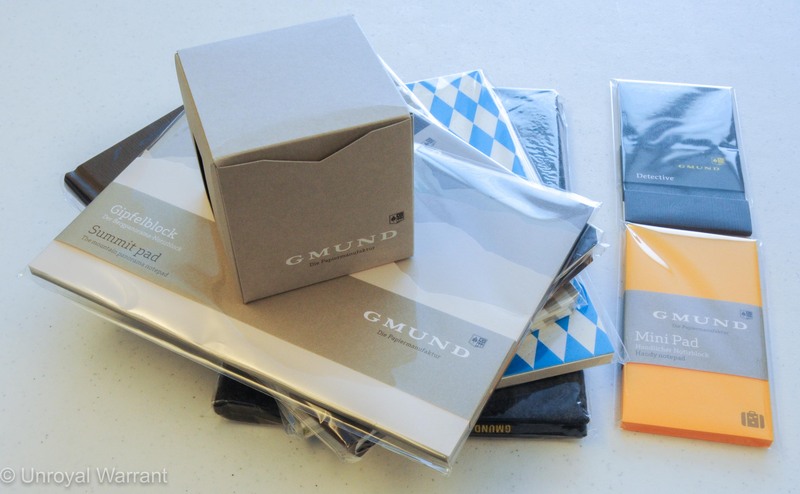 Gmund is one of the best paper manufacturers in Europe and while I don’t see many “Gmund” branded products, their paper is often a top choice for use in custom stationery and correspondence as well as high end business brochures and packaging. 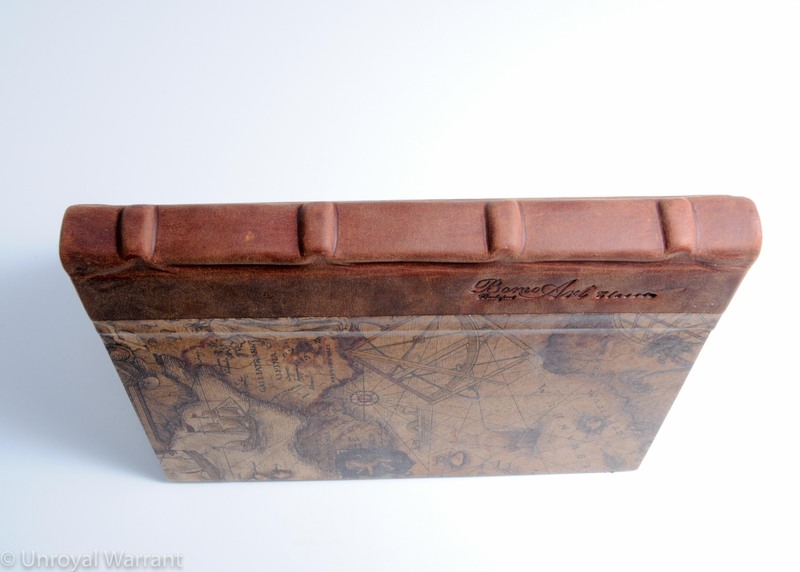 Gmund is based in Gmund am Tegernsee, Germany and can trace it’s roots back to 1829. 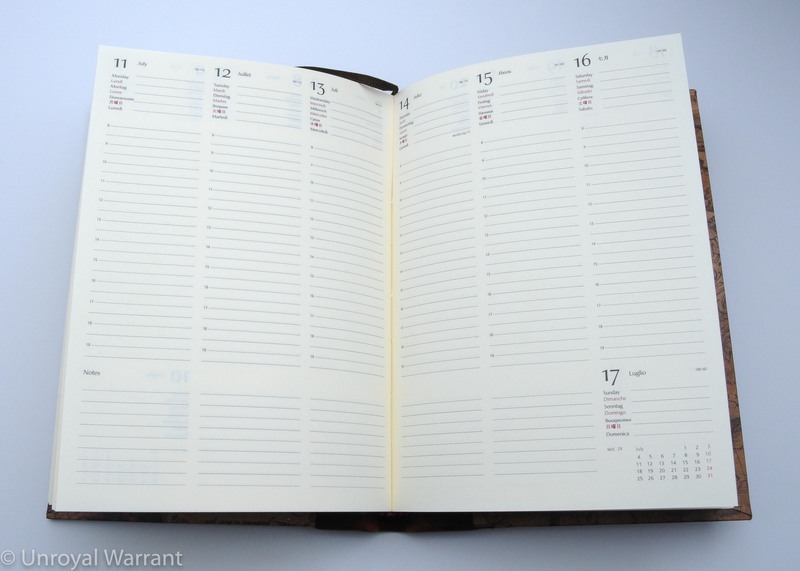 With over thirty product lines (each with numerous variations) there is a wide variety of offerings, everything from the high-tech to the traditional. 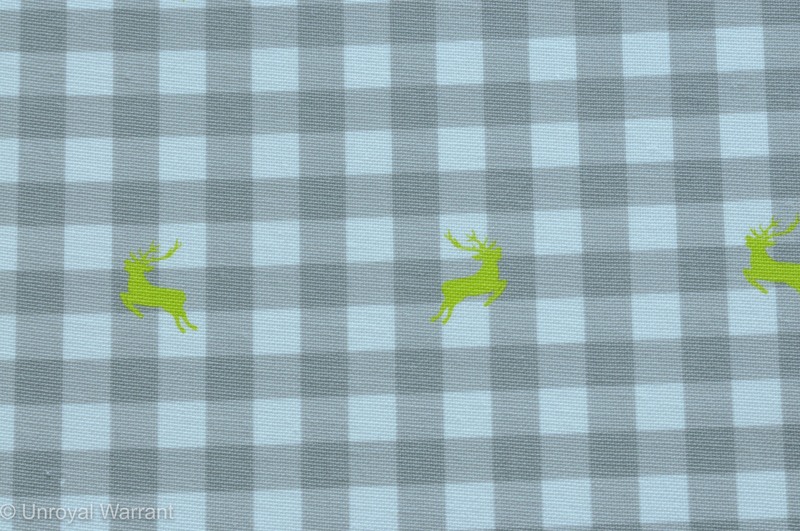 The book I am reviewing today is the Bavarian Book with the Vichy-Deer pattern. 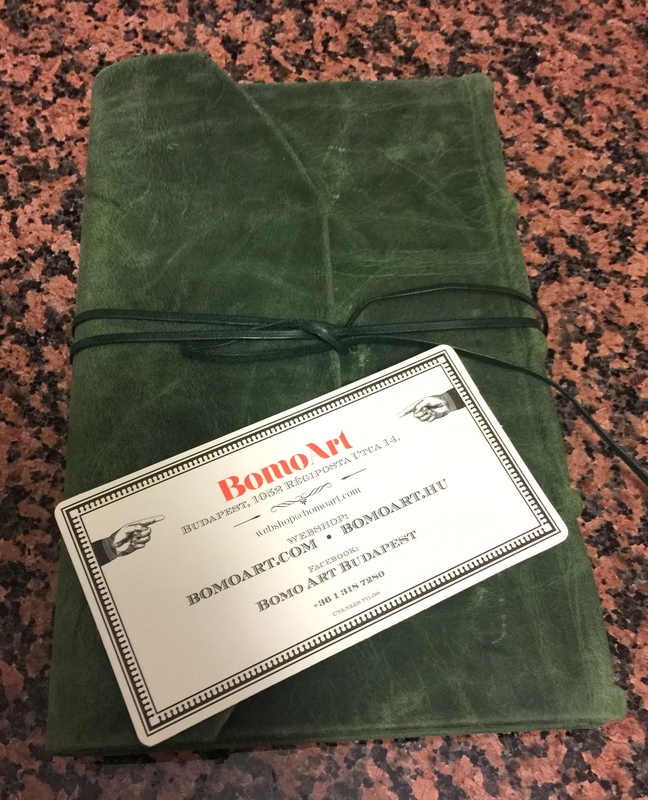 The linen fabric on the cover is supposed to resemble a fabric that would be used on a Dirndl (a traditional Bavarian dress). 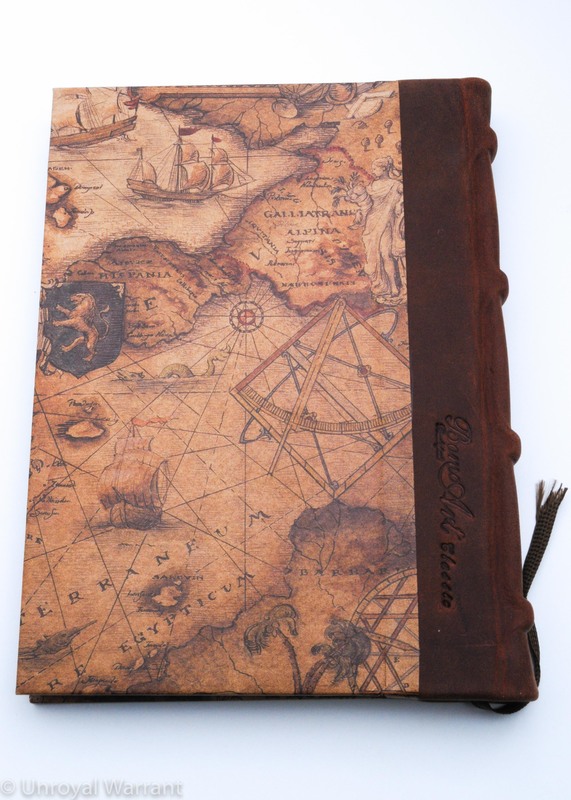 The notebook is an A5 size with 120 blank pages (60 leafs) that are held together with a sewn binding. 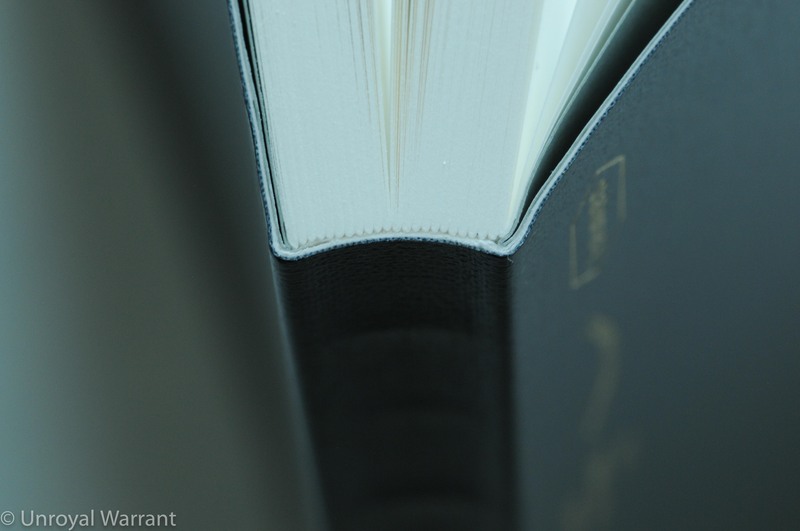 The softcover is flexible and the linen fabric provides a nice tactile feel. 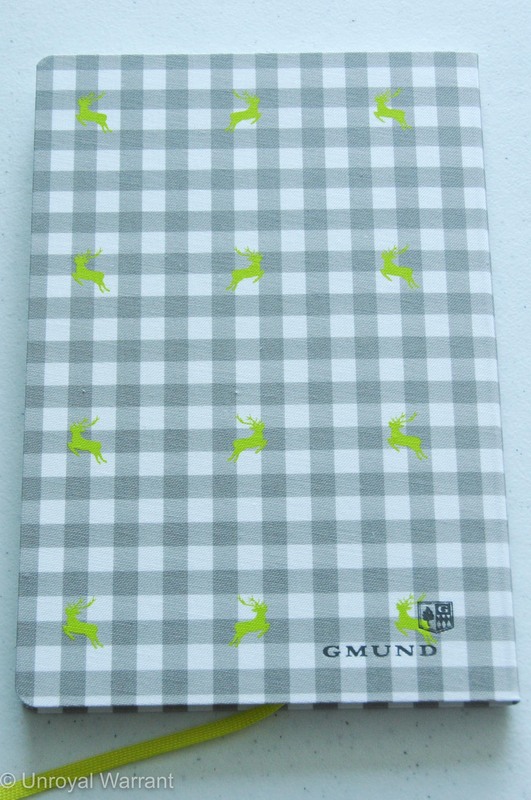 The Gmund logo is debossed on the back of the cover. 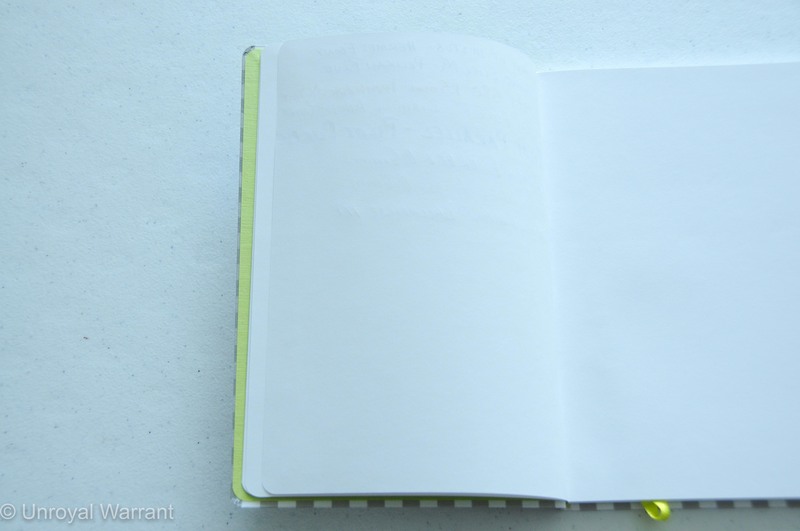 The bright white pages are pretty thick (thicker than 80 GSM Rhodia paper) and hold fountain pen ink well with almost no ghosting. 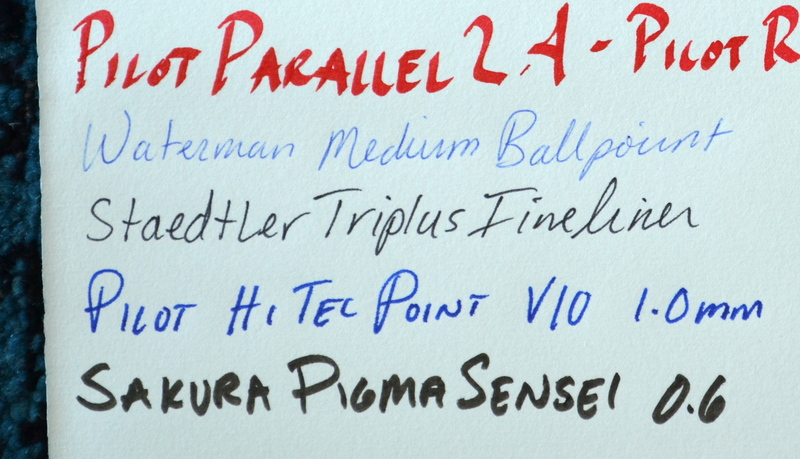 I did notice a hint of bleed-through with the ultra wide 2.4mm Pilot Parallel but for any normal point you should be just fine. 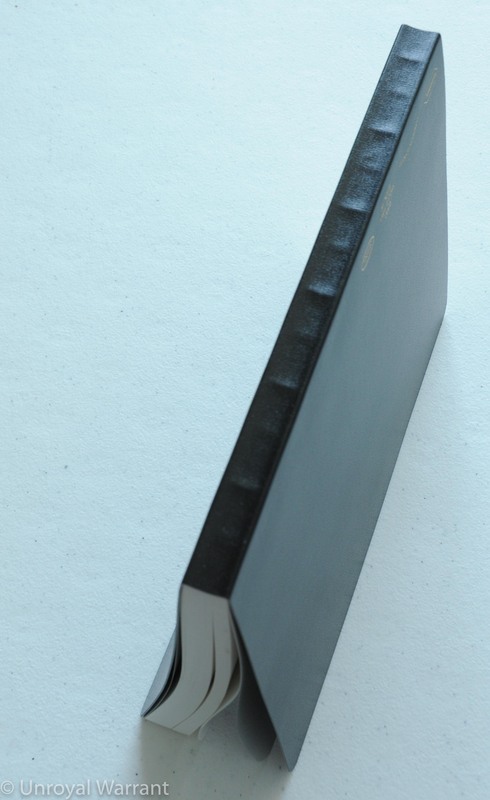 The binding is quite good and with a little use lies flat (as you can see in the pictures). 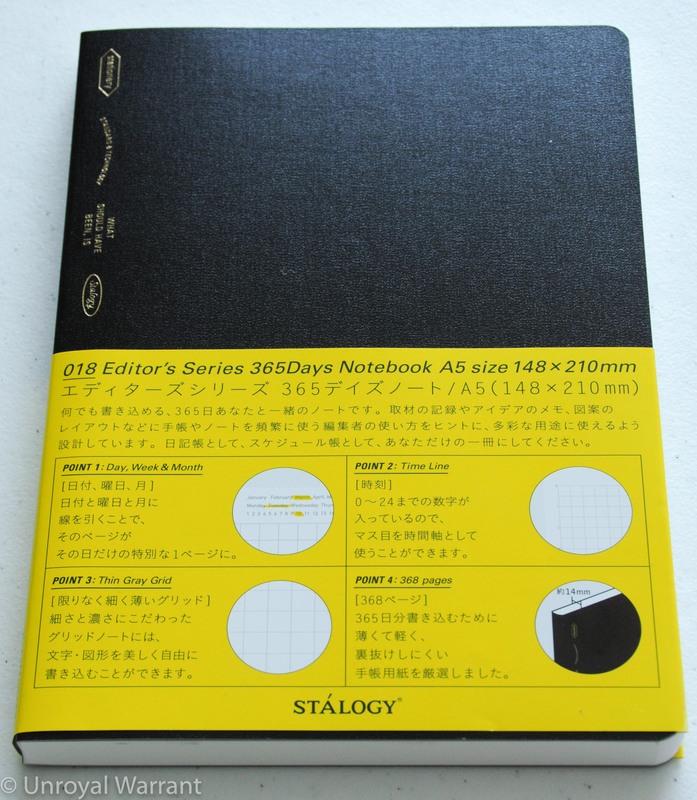 The design and feel of this notebook are standouts for me and a welcome change from the wonderful Japanese books I have been using a lot lately. 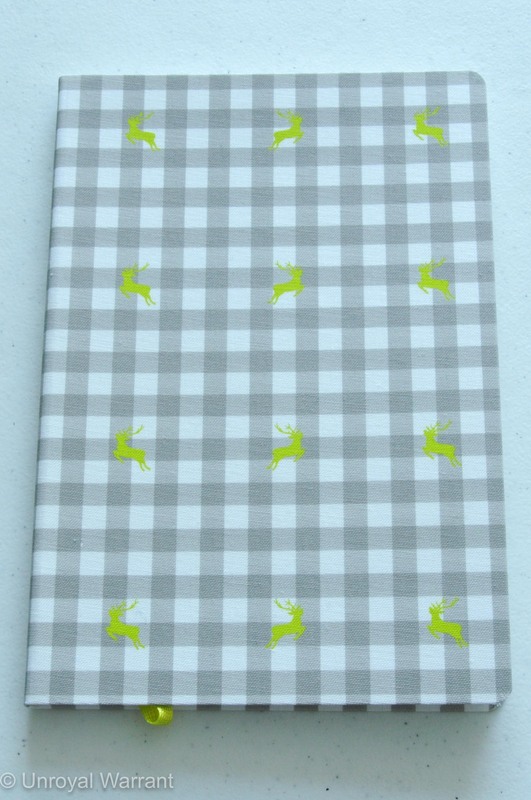 The neon green deers, bookmark, and pastedown are great accents to the grey vichy (gingham) cover and bright white pages. The Bavaria Book costs about $14 and can be purchased at Gmund’s website. Shipping is from Germany and although it isn’t too expensive, it did persuade me to order a few extra things that I will be reviewing in the coming weeks. 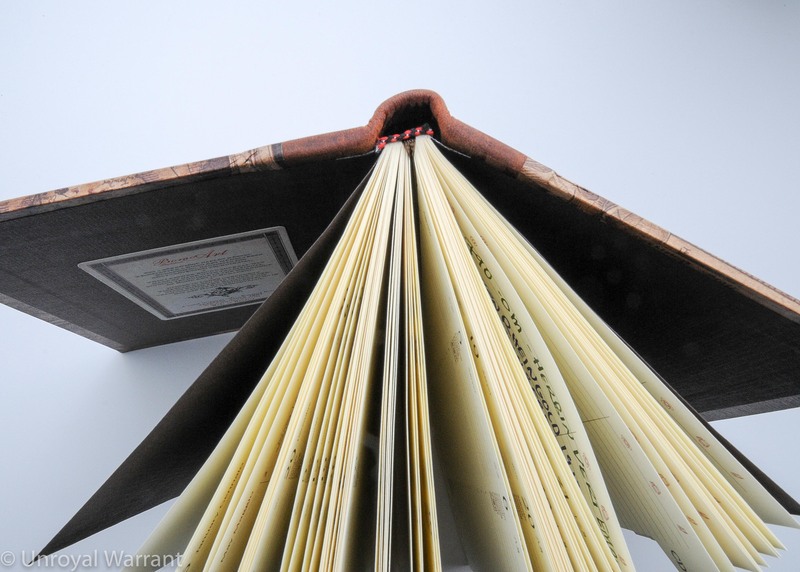 Fabriano Secolo XIII (13th Century) is a handmade 100% cotton paper that is supposedly produced using a 13th century “Fabrianese” paper making method, hence the name Secolo XIII. 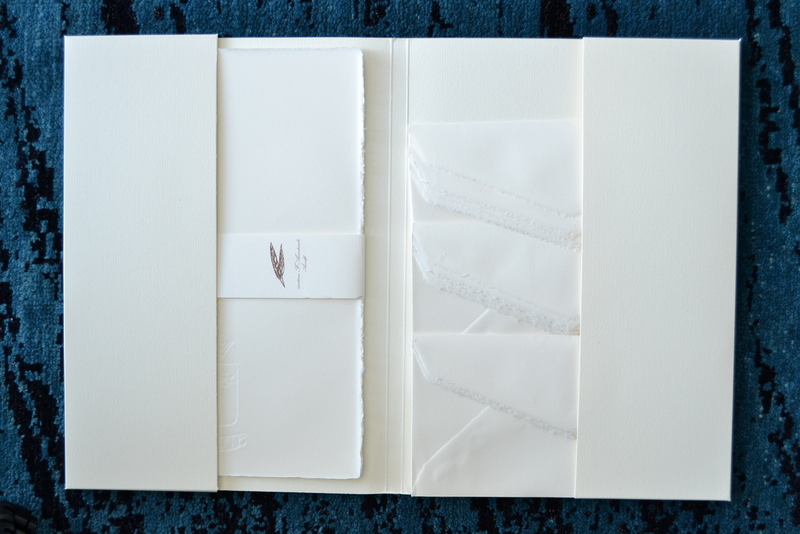 This paper can be purchased from Fabriano’s US web boutique in a set of 50 sheets and 50 envelopes at a staggering (and oddly specific) price of $257.39. 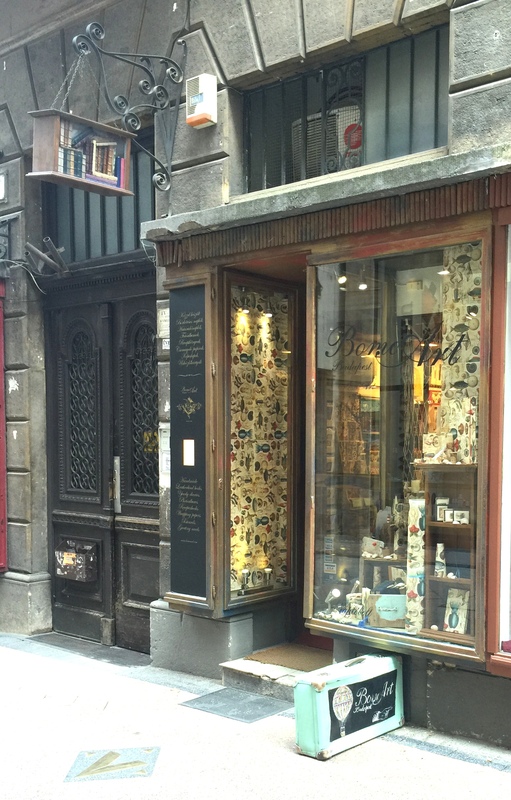 Luckily I was in Italy a couple of weeks ago and passed by a Fabriano boutique which sold Secolo XIII in packages of 20 writing sheets. In the store only the hugely expensive box set was displayed. I had to ask if it was possible to buy a smaller quantity. 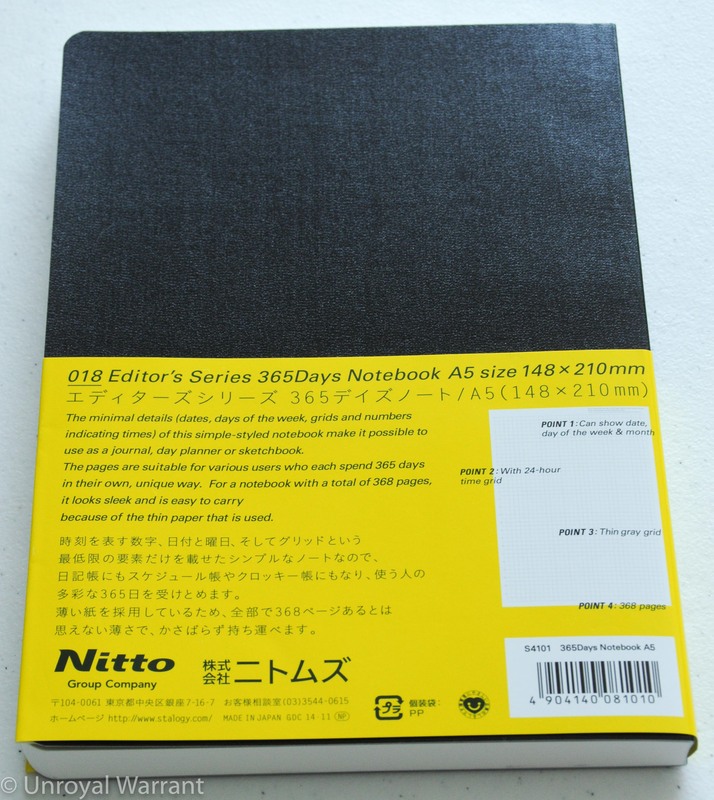 The shop attendant said yes and yelled some unintelligible Italian up a small stairwell behind the register and what seemed like an hour later a small package of Secolo XIII writing sheets arrived. The shop attendant insisted on counting each sheet. I told him I was in a bit of a hurry and not to worry about it. The pack was supposed to have twenty sheets. The attendant counts “twenty one”; he starts over and gets twenty one for a second time and still surprised at the result counts a third time, “twenty one”. He removed one sheet and allowed me to pay and I ran out of there. 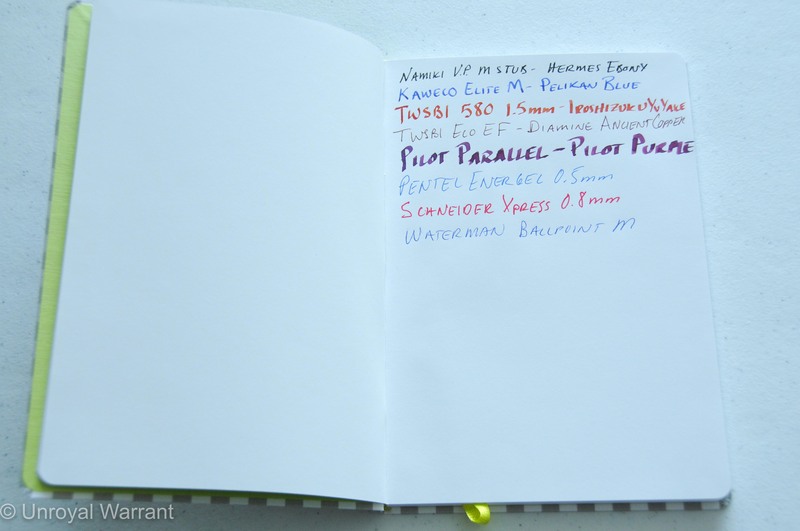 So how is Fabriano’s top-of-the-line paper? Well let’s start with the good. 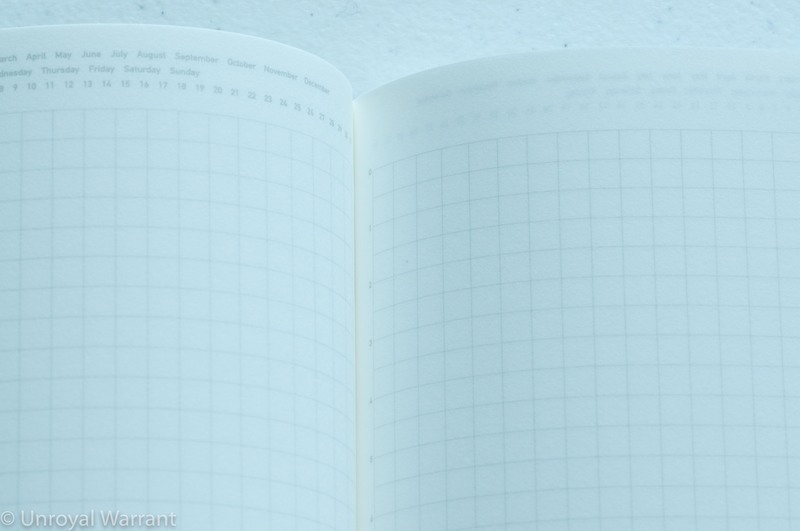 The deckled edges are much nicer and much more consistent than the Amalfi paper’s. 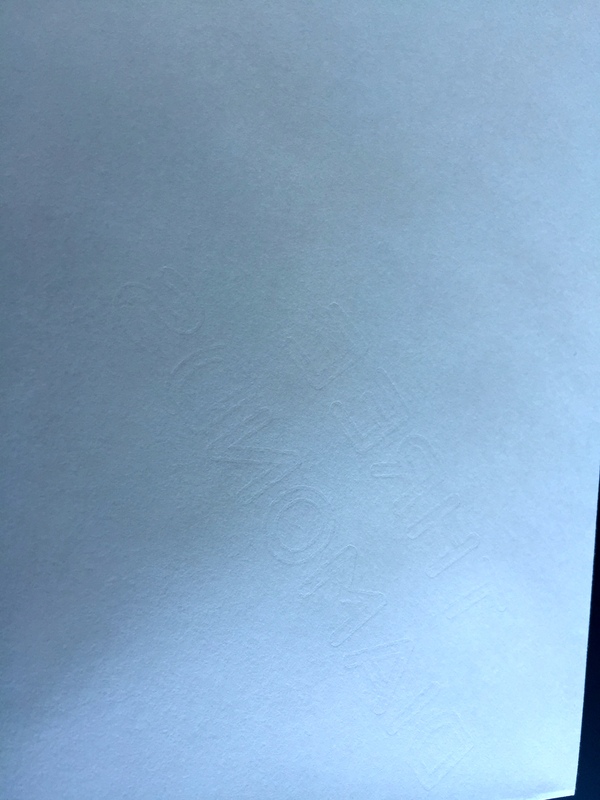 The paper has a unique texture. 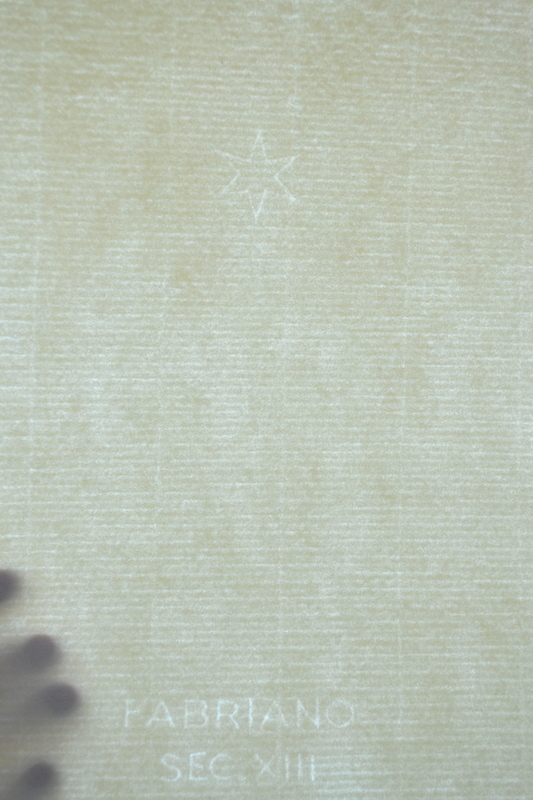 If you hold it up to the light you can see that it is a laid paper but the texture isn’t actually ribbed, it has a more sporadic mould made texture like Fabriano’s bottom-of-the-line (but still wonderful) Medioevalis. The texture is finer than Medioevalis but rougher their than mid priced paper, Minerva (review to come). 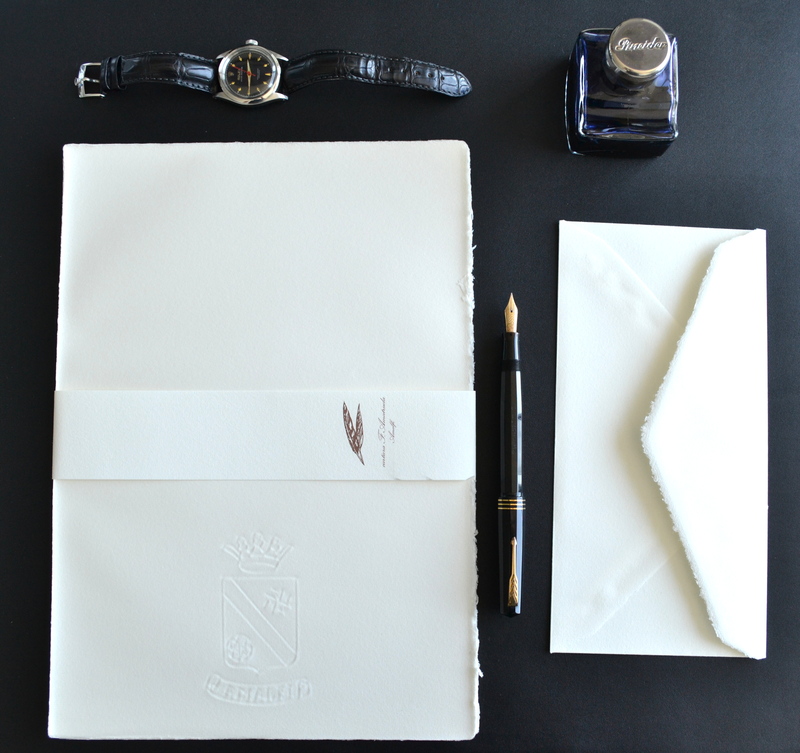 Secolo XIII only comes in an ivory color (the Amalfi looks white by comparison). It is quite an attractive looking paper. 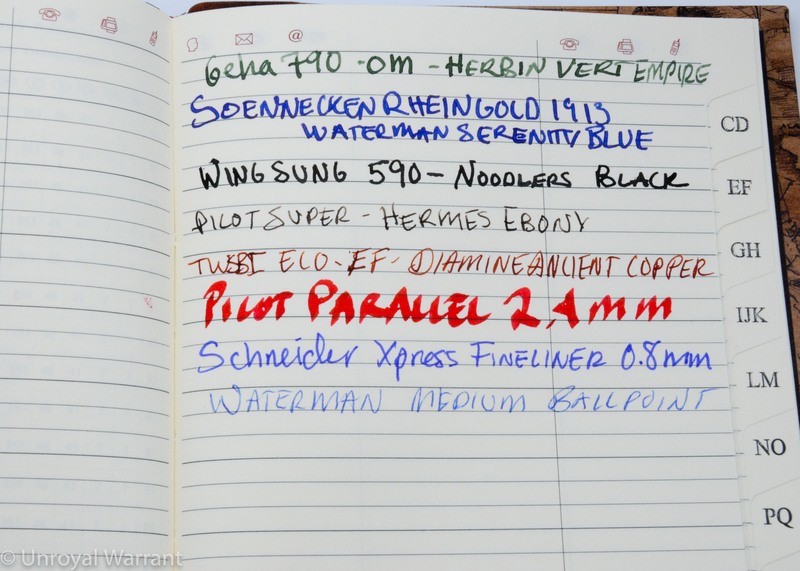 The paper handles fountain pen ink well and like the Amalfi only the Pilot Hi Tec 1.0mm gel ink pen caused minor bleeding. 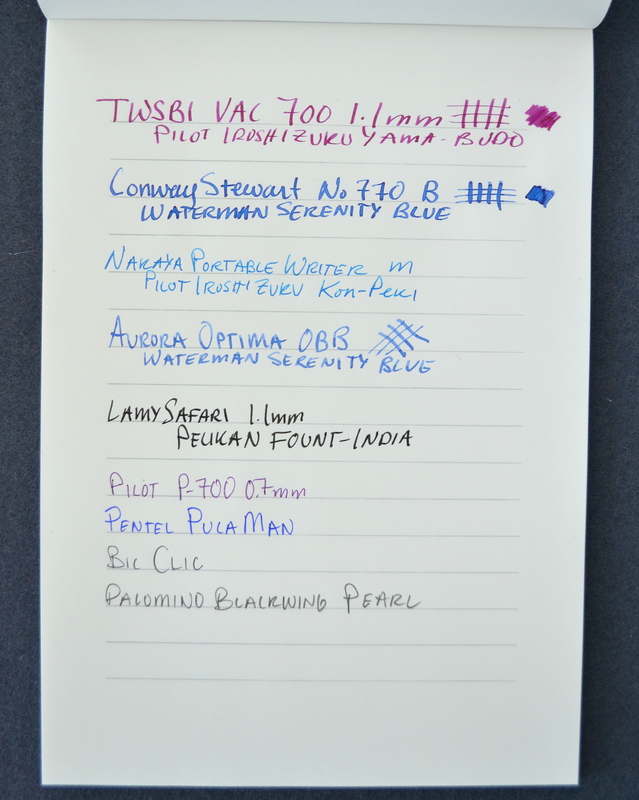 Slightly more noticeable ghosting than on the Amalfi but overall excellent performance with fountain pen ink. 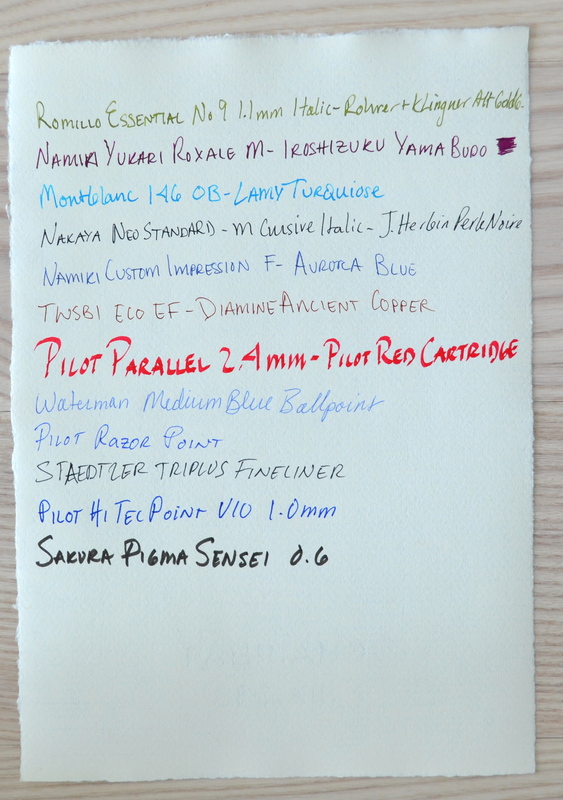 Despite having a finer texture than the Medioevalis, Secolo XIII has a good deal more feedback with my pens. It’s more resistance than I like. Cotton usually isn’t as nice to write on as wood pulp paper and this seems be the case with Secolo XIII. 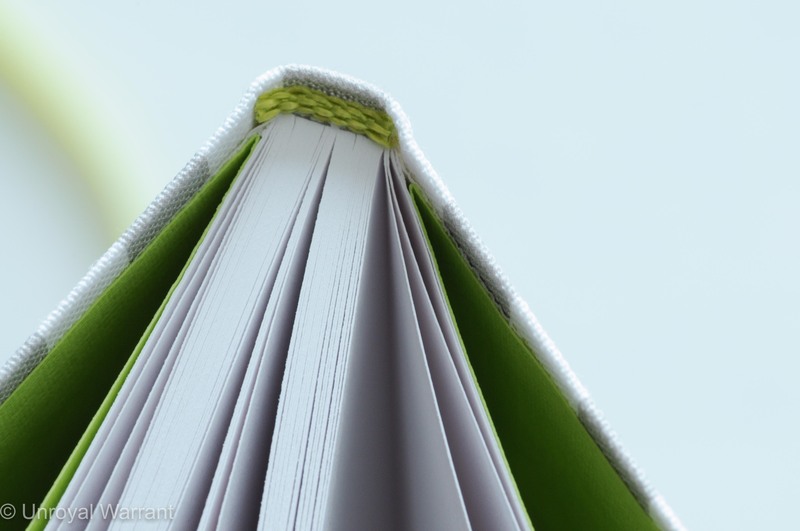 The paper feels…well, like paper. It doesn’t have that special fabric-like hand that you get with Amalfi. 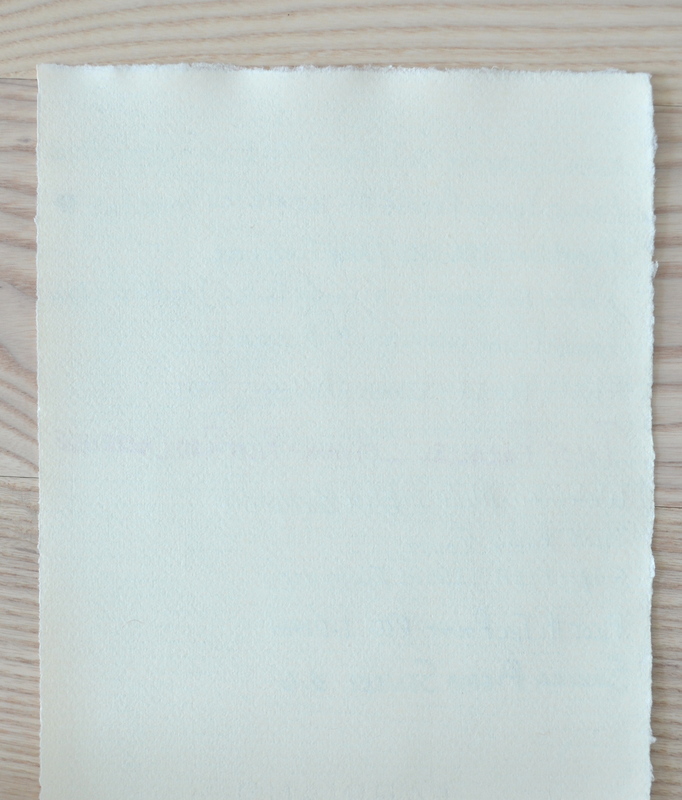 Secolo XIII reminds me of a Southworth Resume cotton paper I have. 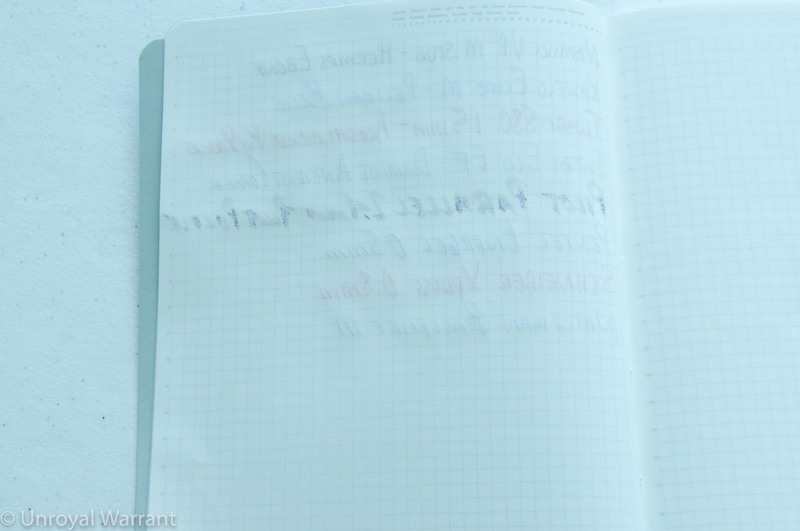 Secolo XIII is thick and I cannot use a ruled guide sheet underneath it. Lastly, the price…it’s more than twice as expensive as Amalfi and I don’t understand why. 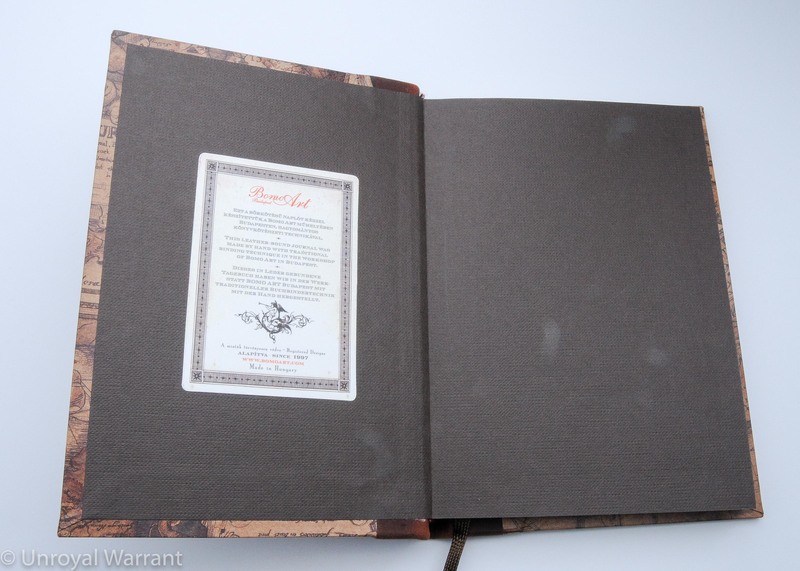 Secolo XIII is beautiful looking but for a luxury paper it really isn’t that nice to write on…or touch for that matter. Fabriano’s Minerva and Medioevalis papers are some of the nicest I have used and as such I had high expectations for Secolo XIII; ultimately I was disappointed. 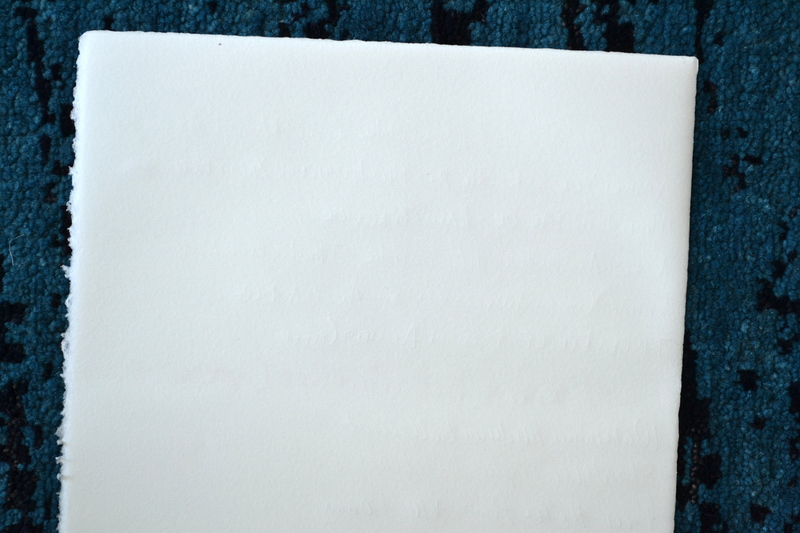 Not only is it the worst paper to write on in Fabriano’s correspondence line, it’s also one of the most expensive plain writing papers on the market. Secolo XIII is a hard pass for me. 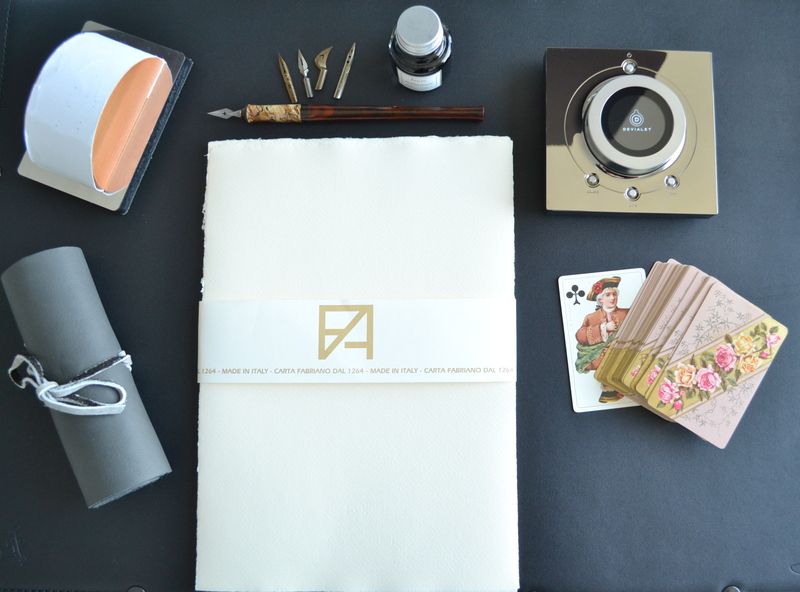 Amatruda’s Amalfi paper is the most beautiful handmade paper I have used to date. 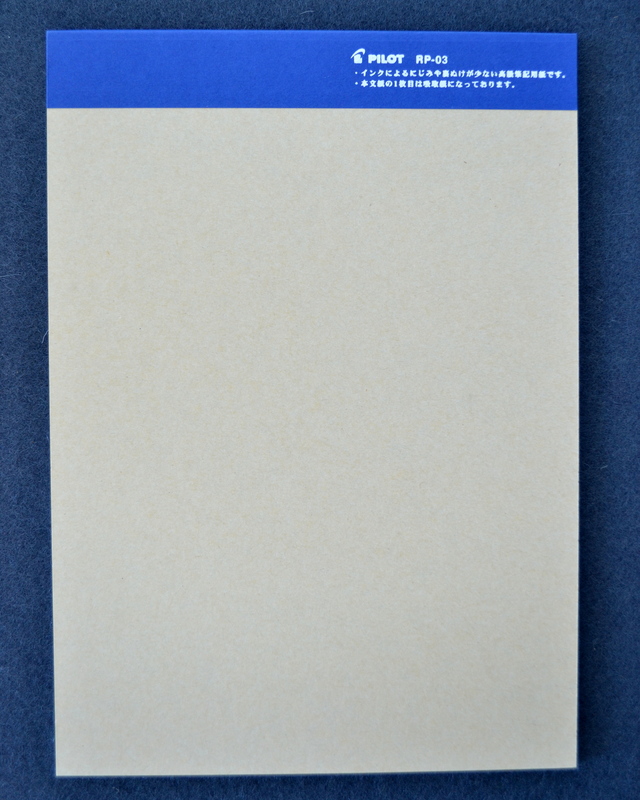 It is a 100% cotton rag paper with a 100 lb weight (approximately 148 gsm). It is soft and in hand it drapes like a fabric. Needless to say this a very special paper. 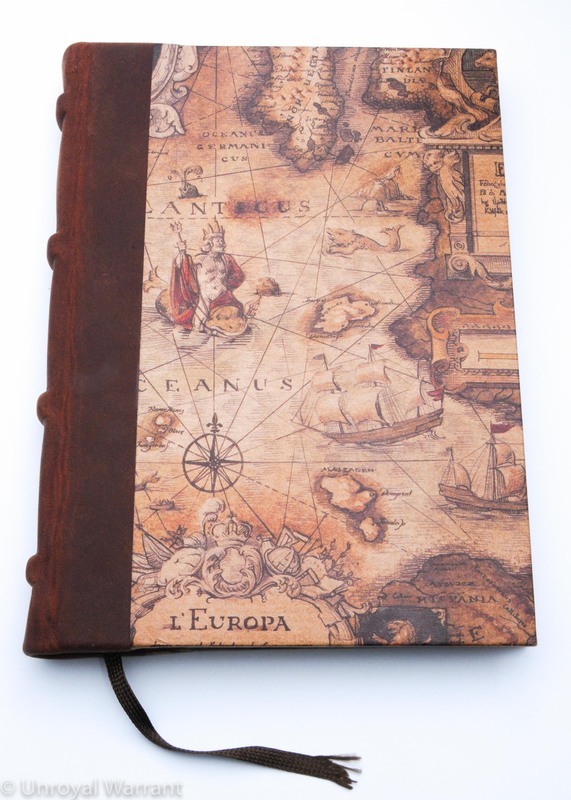 Amatruda has been producing paper since 1390, making it one of the oldest paper mills in Europe. 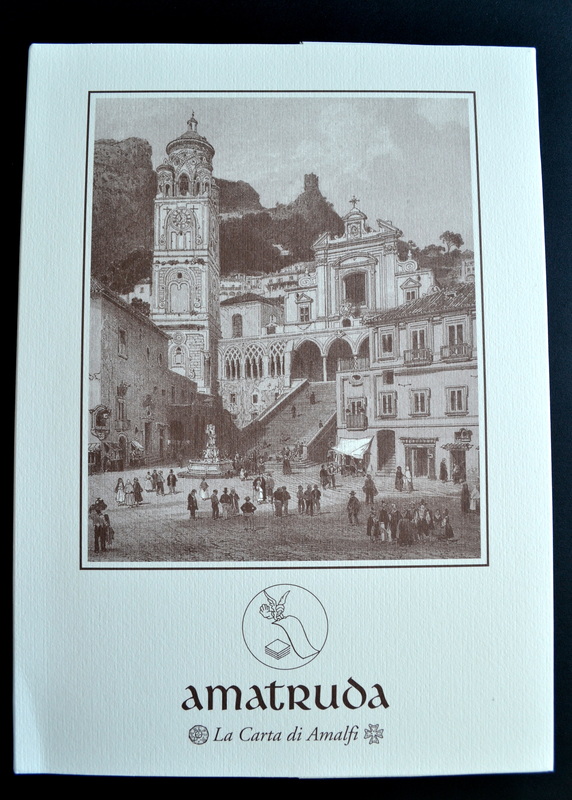 The Amalfi paper is a traditional handmade paper. 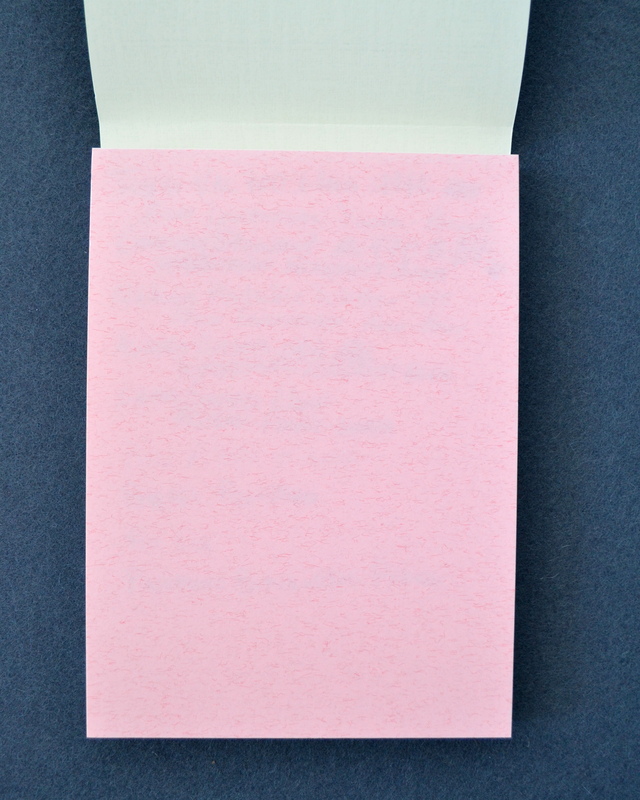 This paper comes in a various formats and colors and like most wonderful papers is annoyingly difficult to find in the United States. 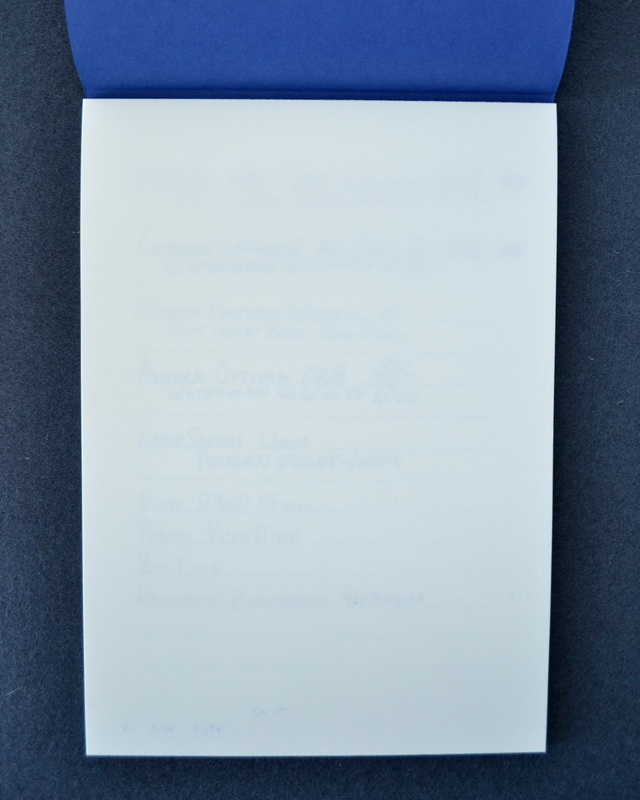 There are some good online retailers who sell this paper but the format and color options are quite limited. 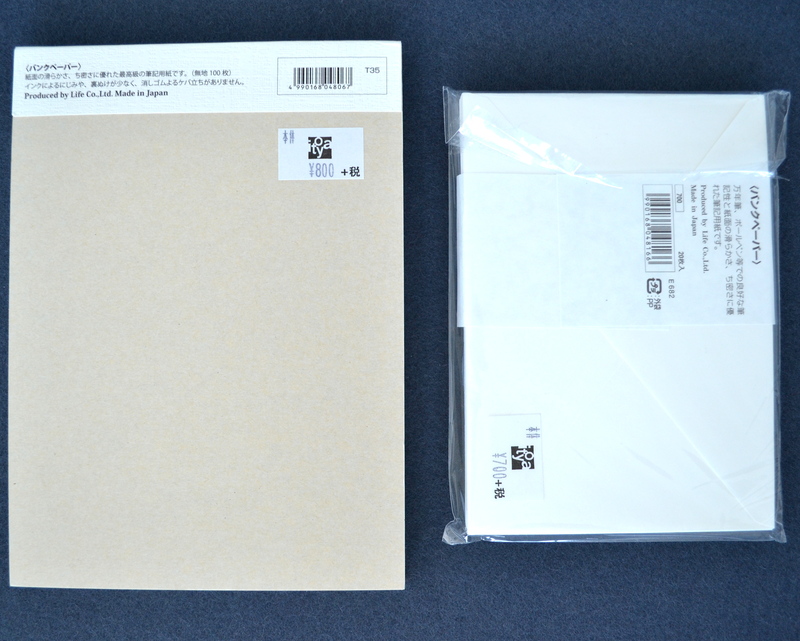 I purchased a stationery set in the ivory color and it contains twenty A4 sheets and envelopes for $38. At this price it definitely will not be my everyday writing paper. The sheets and envelopes have deckled edges though on the sheets I received the right edge seems to be a bit more deckled than the rest. I am not sure if this is a characteristic of the paper in general or of the batch I received. 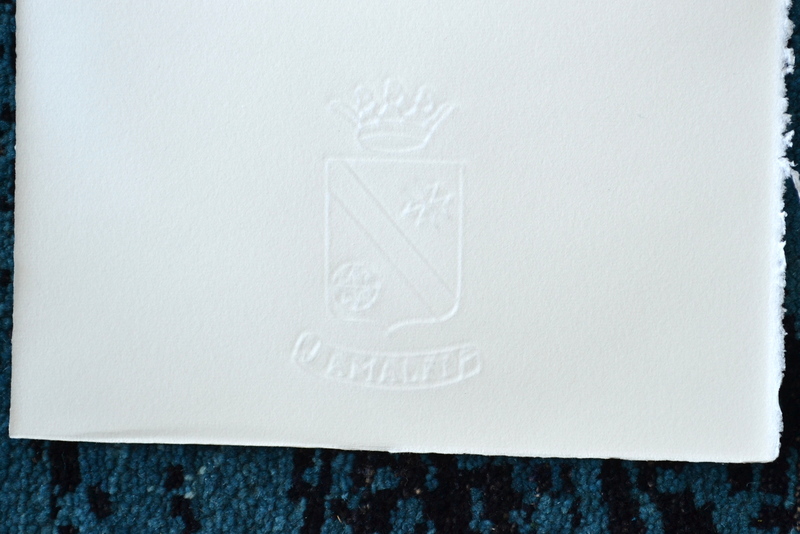 The Amalfi Crest watermark is pressed into the paper making it much more visible than a normal watermark. It is very easy to feel with your finger but surprisingly I couldn’t feel it when writing over it. 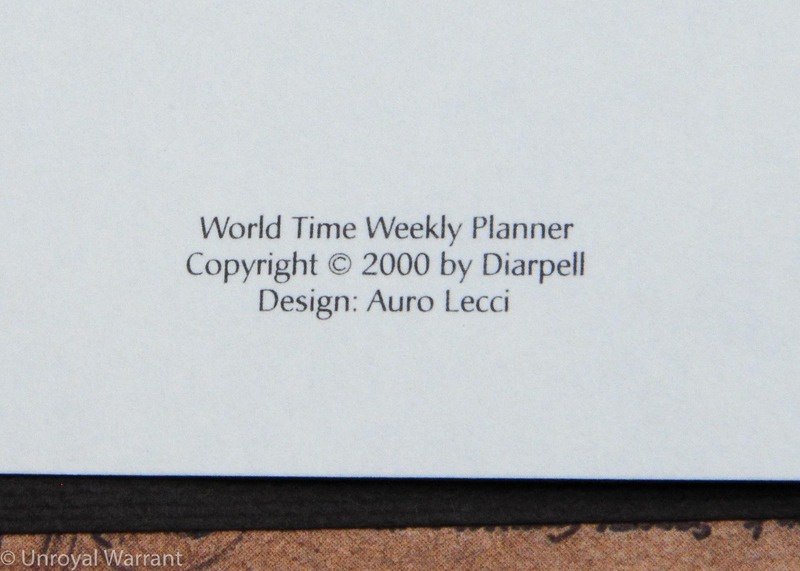 This paper is also available with an angel watermark. Amalfi has a nice texture to it and I found it provided pleasant feedback. 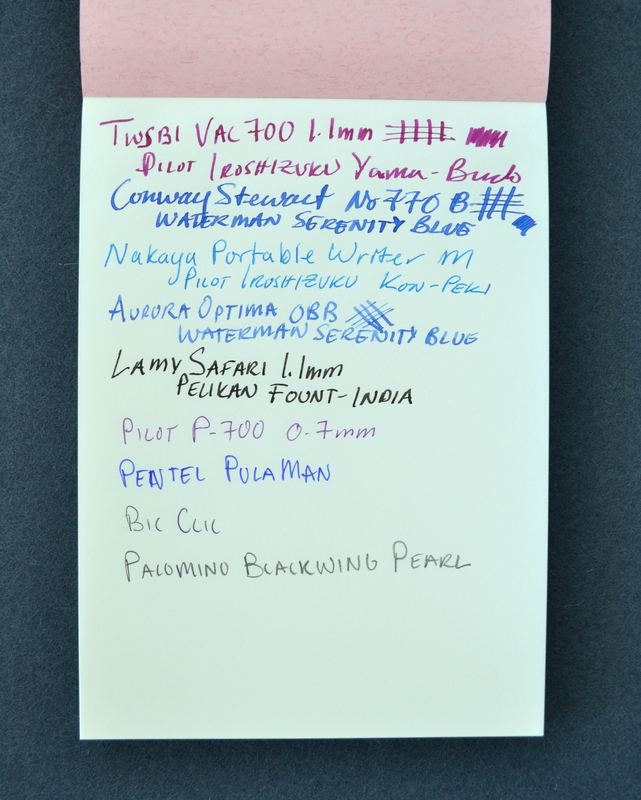 The only pen that I tested that bled was the Pilot Hi Tec Point 1.0mm gel pen. 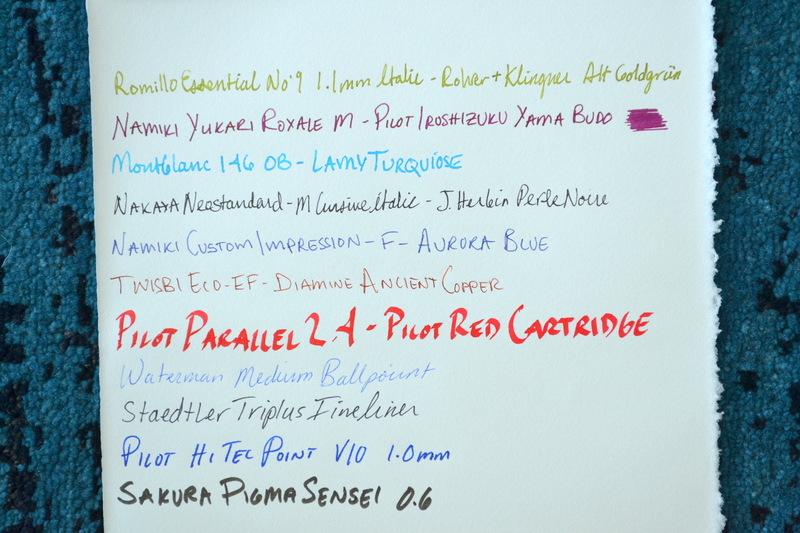 None of the fountain pens I tried including the 2.4mm Pilot Parallel bled. 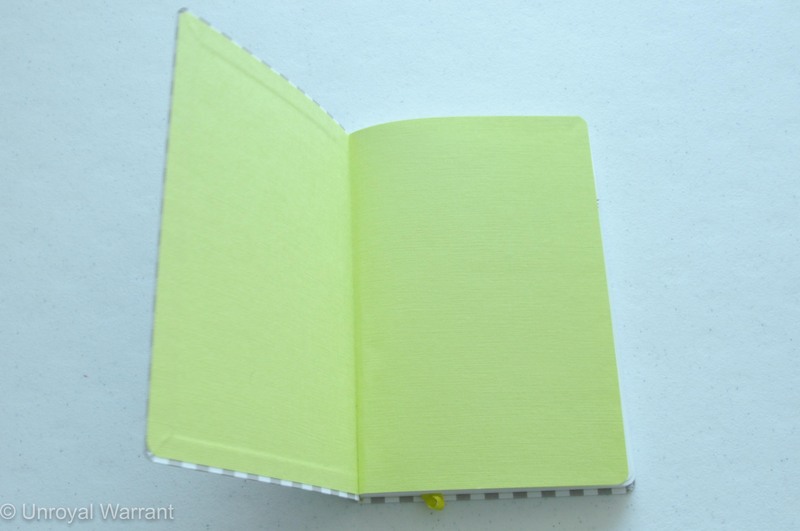 I experienced no ghosting and none of the gel ink from the Hi Tec Point came through to the back of the page. 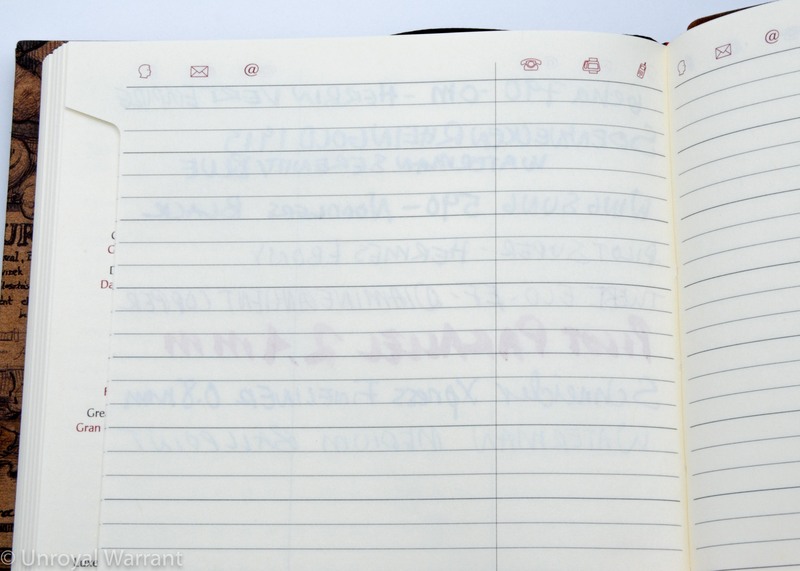 I was also able to clearly see my ruled guide sheet underneath this paper, a nice bonus for a thick paper. 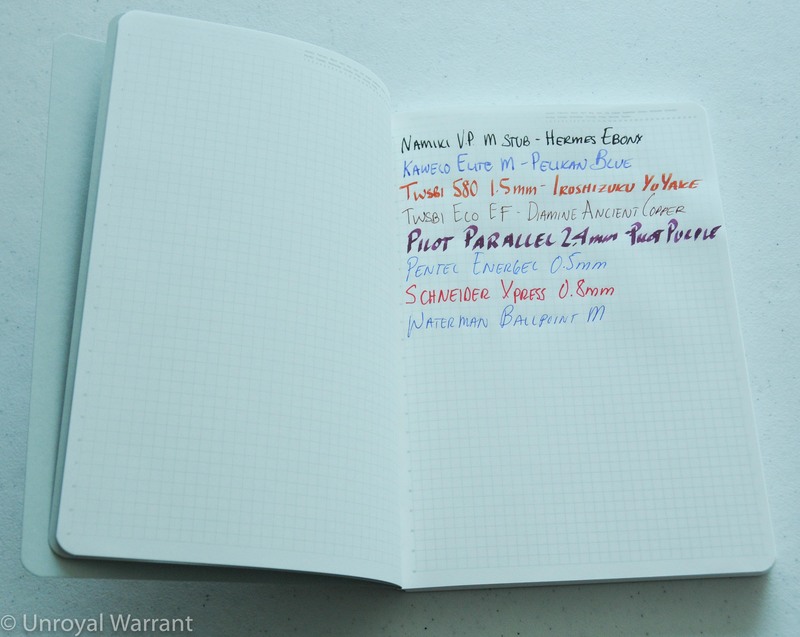 Amalfi is my favorite paper to date but I am not happy with the formats available in the USA. I have only been able to find the writing sheets sold in sets and I am too cheap to pay for the envelopes. If anyone knows of a place that sells only the sheets please let me know. 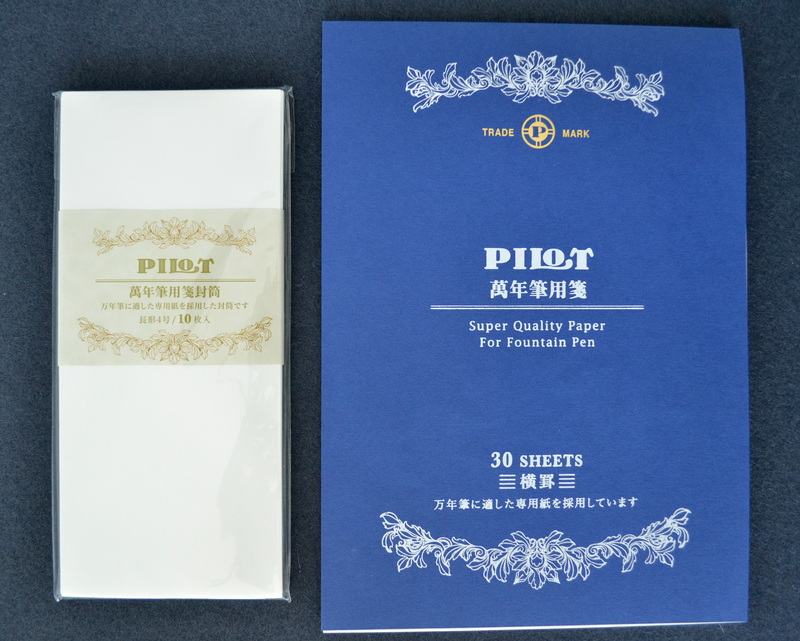 This is the first and only paper product I have tried from Pilot. 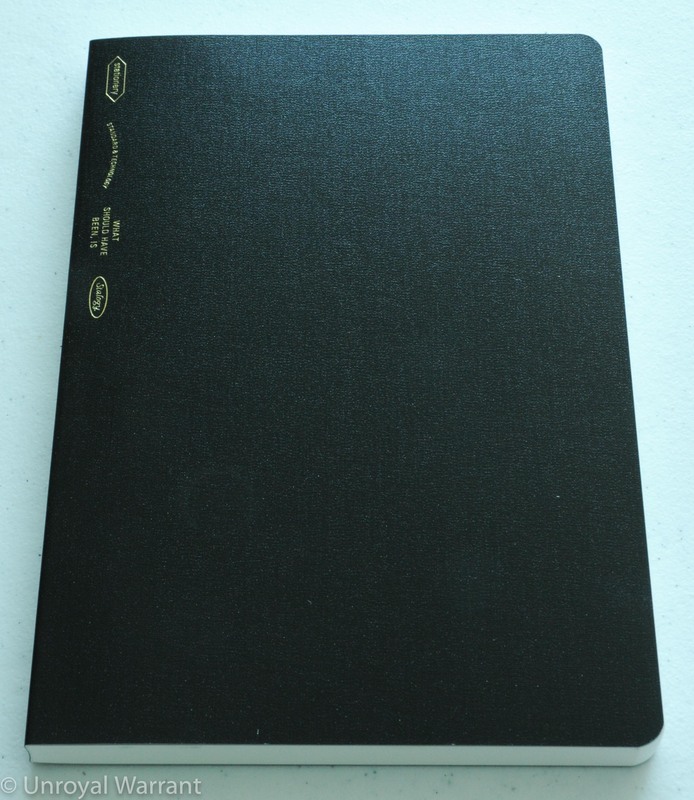 The cover accurately states that this is “Super Quality Paper For Fountain Pen”. 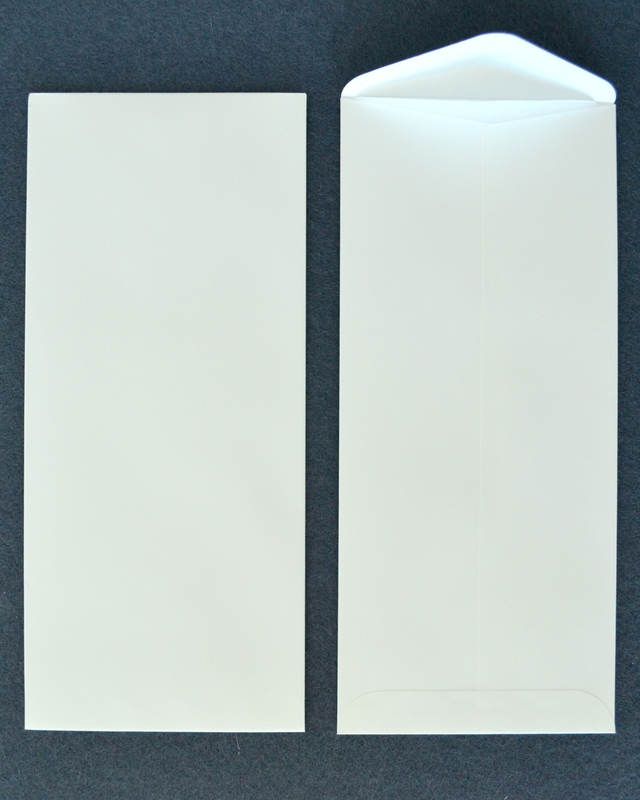 The paper is considered “semi-B5” measuring 177 x 250 mm. Each page only has fifteen grey lines making for a rather wide 12mm rule. The paper is not lined on both sides. 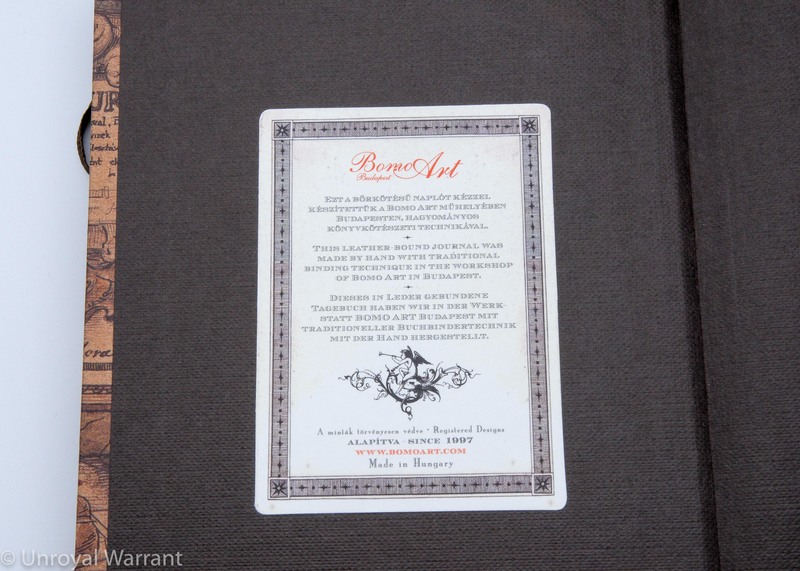 The pad has 30 sheets and a one blotter sheet. The paper does not bleed or feather in my tests and is quite nice to write on. 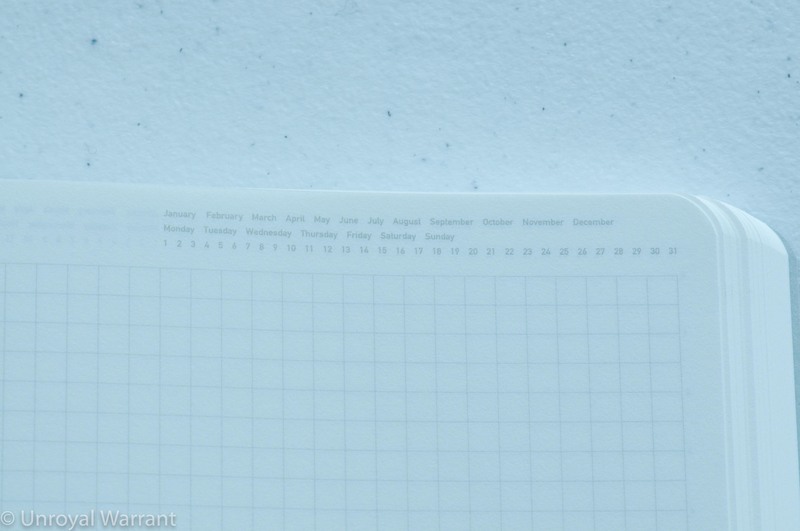 The paper is on the thinner side and it’s weight is not specified but I suspect that it is somewhere around 70-80 gsm. 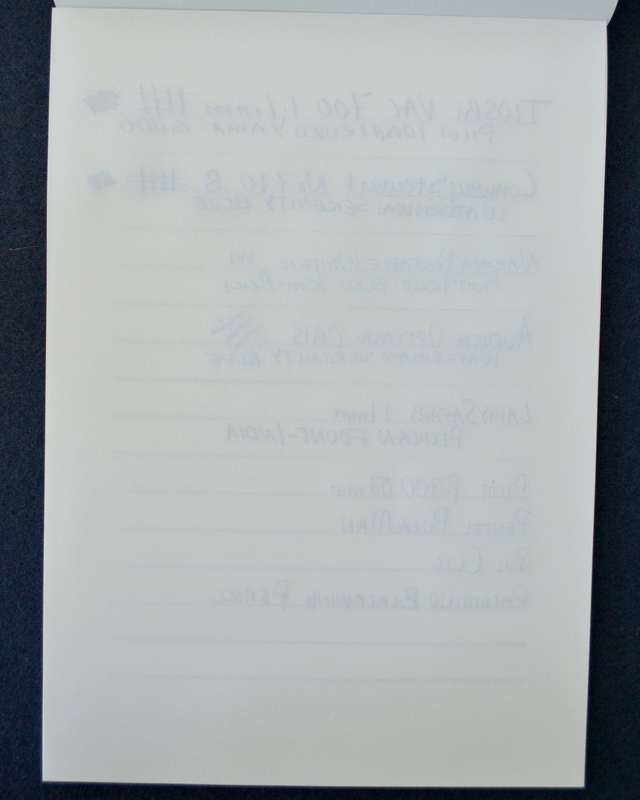 There is some ghosting but you can easily write on both sides. 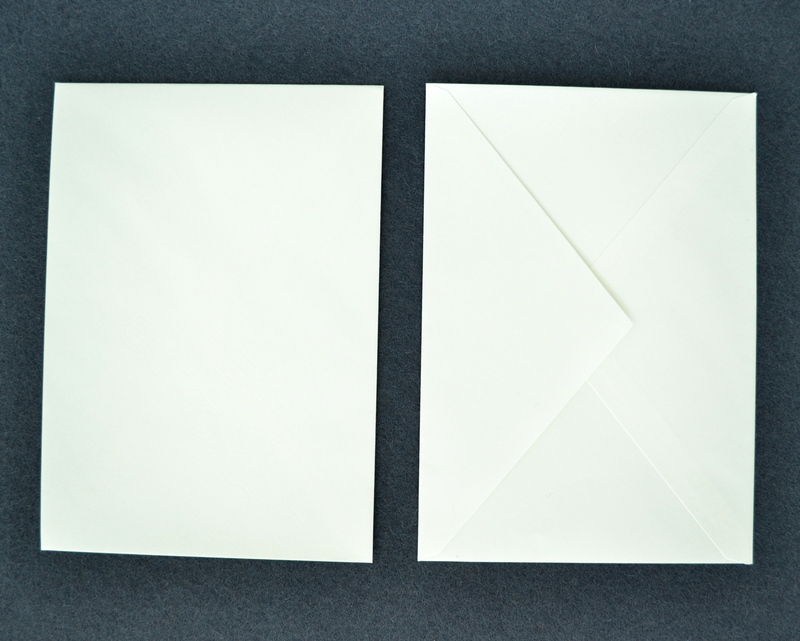 The matching envelopes come in a pack of ten and open on the short side. They have a paper lining. 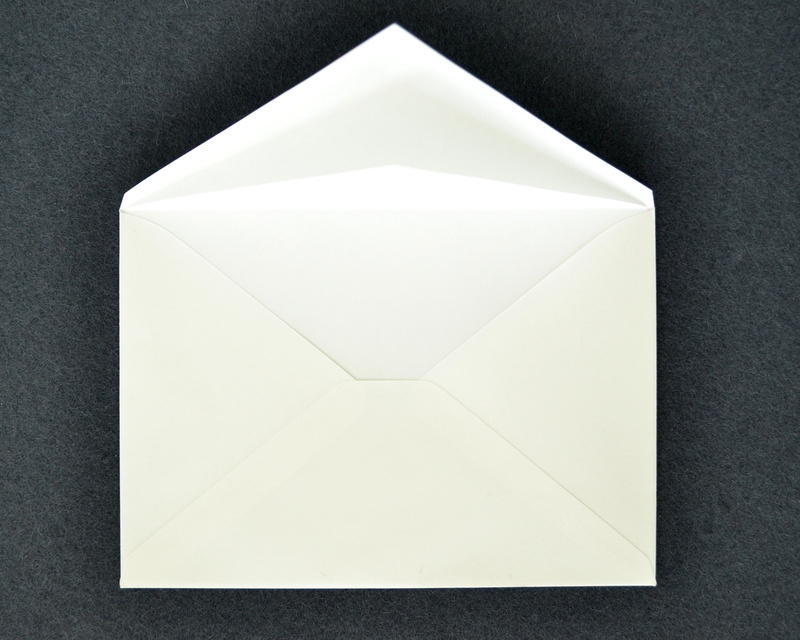 The paper used in the pad and the envelopes is not watermarked. 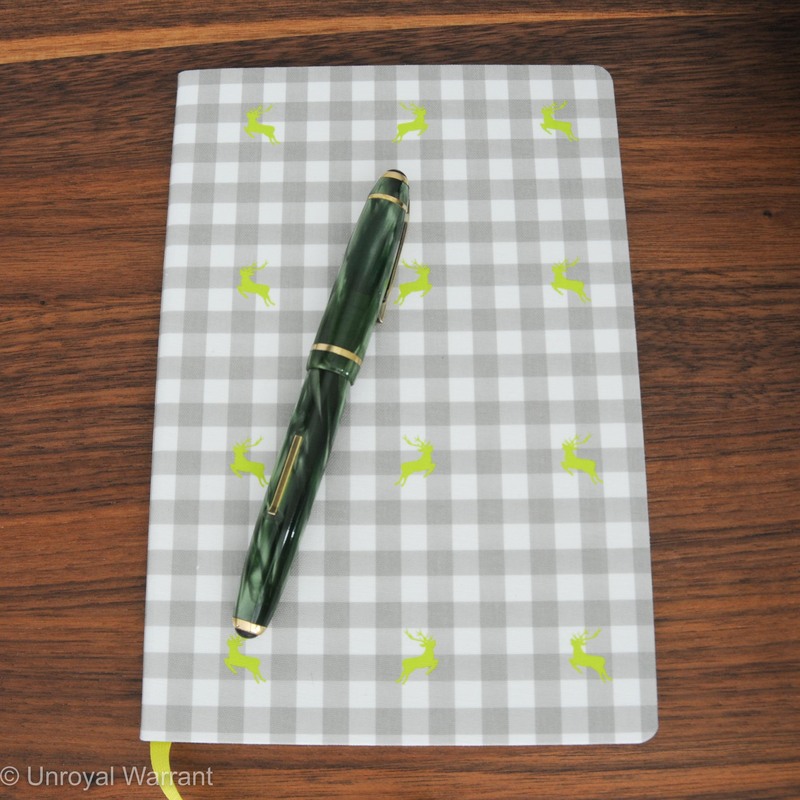 I purchased these in Japan for about $7 USD for the set and at that price they are great as every day stationery. 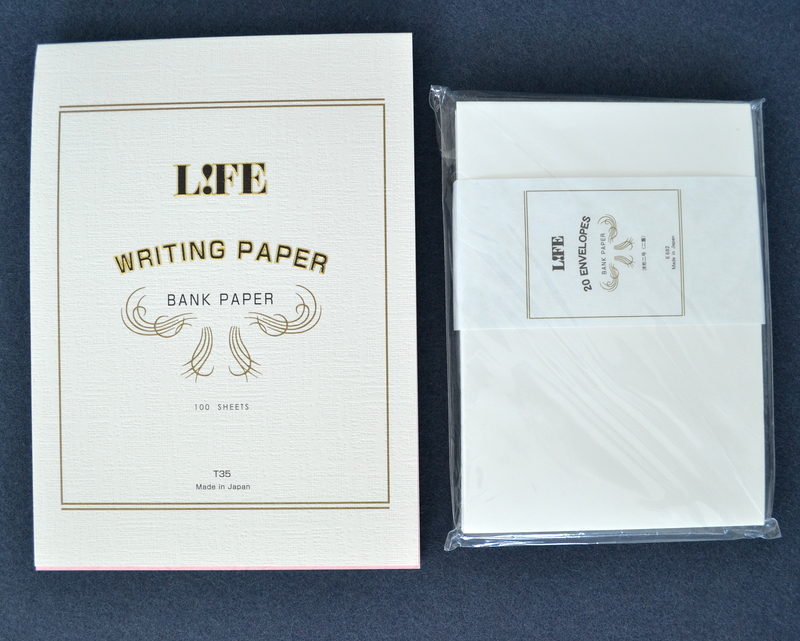 I have seen this paper for sale in some stores in the USA at much higher price and for me, even though this paper is excellent, it doesn’t have enough character to justify a price much beyond $10 for the set.